We believe in Agile, Design, Entrepreneurs and A Better You. On June 21, the FAA announced the new small drone rules (under 55lbs) aka Part 107 which take effect August 29. One of the operational limits is maintaining Visual Line of Sight (VLOS). Under the new rules, pilots must always remain within visual line of sight of the drone — something that typically prohibits any kind of long-distance drone use, including even the most basic delivery drones though Amazon is still allowed to continue to study the delivery service potential. One solution that will provide data and maintain line of sight are Augmented Reality glasses like the EPSON Moverio BT-200/300. We speak with Michael Leyva, Product Manager of New Product Innovation, who will speak about the possibilities of solutions in partnership with DJI. Check it out! The Epson / DJI option is intriguing but as Michael said in the interview, we will probably have to wait till the "end of the year." What will be needed is clarity from the FAA regarding interpretation of the operational section of Part 107. This entails exploratory letters and proposals to the FAA for interpretation. On the technology side, once some the scenarios have gone through the FAA "sniff" test, is app development on the DJI side plus hooks that Epson needs to provide in their SDK. Providing a small window for drone FPV may work. Stay tuned. 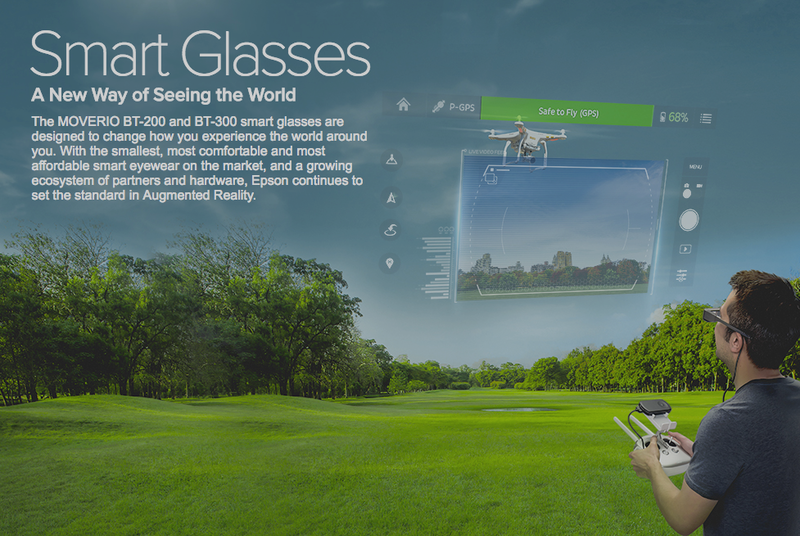 Check out the DJI concept video with the Epson Moverio AR Glasses. Is Your City on the Most Malware Infected List?